Bobby Akart “Prepping For Tomorrow” Audio in player below! 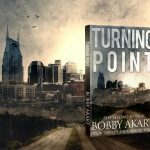 On this episode of the Prepping for Tomorrow program, Author Bobby Akart will continue his month long discussion of prepper basics. Last week we discussed the Prepper’s Conundrum and the decision whether to bug-in or bug-out—Should I stay or should I go? This episode, we’ll talk about your bug-out bag and what to pack. We’ll even discuss bug-out vehicles for a grid down scenario. You’ll quickly learn that you can’t carry it all. But I have a suggested approach which I’ll share with everyone that gives you the most options based upon circumstances. The first thing you have to keep in mind is that the time for bugging-out is before the crisis reaches its peak. Evacuate before the masses do. Otherwise, it may be too late. 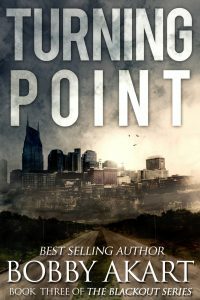 I describe some of the perils a family can face when bugging out in my new book titled TURNING POINT, an Amazon #1 Best Seller and the third installment of my new Blackout Series. A bug-out bag is intended to be a portable kit that normally contains the items one would require to survive for seventy-two hours when evacuating from a disaster, however some kits are designed to last longer periods of time than just 72 hours, which is what we suggest. The focus is on evacuation, rather than long-term survival. 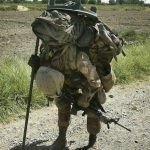 Other names for a bug-out bag are a BOB, a 72-Hour Kit,a Grab Bag, a Personal Emergency Relocation Kits (PERK), a Go Bag, a GOOD Bag (Get Out Of Dodge) or INCH Bag (I’m Never Coming Home Bag). 72 Hour Portability – designed to sustain you and your family for three days until you can return home or to your bug-out location. Manageable and Comfortable — Assume that you have to walk. The choice of pack needs to be based upon your physique and conditioning. Prepared in Advance for all Contingencies — Invest in the time and supplies now, so that you’ll be ready when the SHTF. Customized for you, not premade by others — Your bug out bag should fit your scenario, not the company selling a premade kit. Building a bug-out bag is not a simple process. It takes planning and a commitment from all members of your family to pitch in. During the week, we’ll be looking for your questions and suggestions on building the perfect bug-out bag. Listen to this broadcast or download “Bug Out Bag Essentials” in player below! Archives, Website, Social Media more for Bobby Akart HERE! bug out bag Bug Out Bag Essentials bugging out essentials Go Bag Good Bag prepper vehicles! Previous: Previous post: Fall Food Preservation! Next: Next post: A new American dream, through the eyes of a Canadian.